From its commercial beginnings in the early 1800s, the British railway system steadily expanded service throughout the country. By the 1850s, the railways had reached the outskirts of central London and had expanded outside the city by means of an underground system. Today, the London Underground is the third-busiest metro system in Europe. Along the way, the Underground Electric Railway Company published many posters—featuring tours, landmarks, parks, and entertainment venues—to encourage use of the railways. 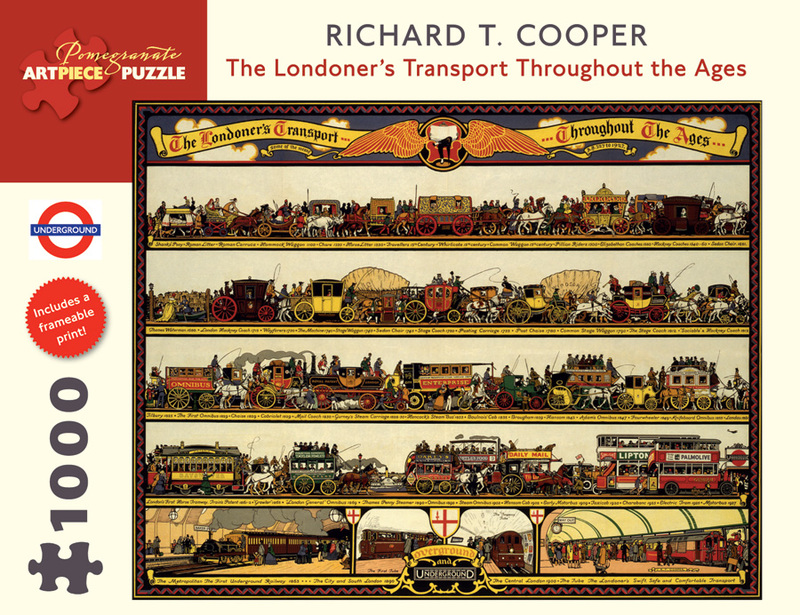 The poster on this puzzle—Richard T. Cooper’s (British, 1884–1957) The Londoner’s Transport Throughout the Ages—is from the collection of the London Transport Museum, one of the finest poster archives in the world. 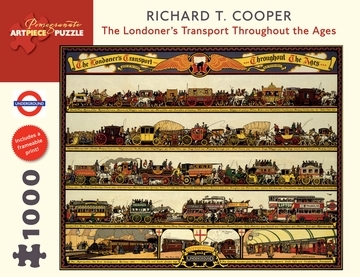 It depicts the various conveyances used in London from CE 327 to 1927.